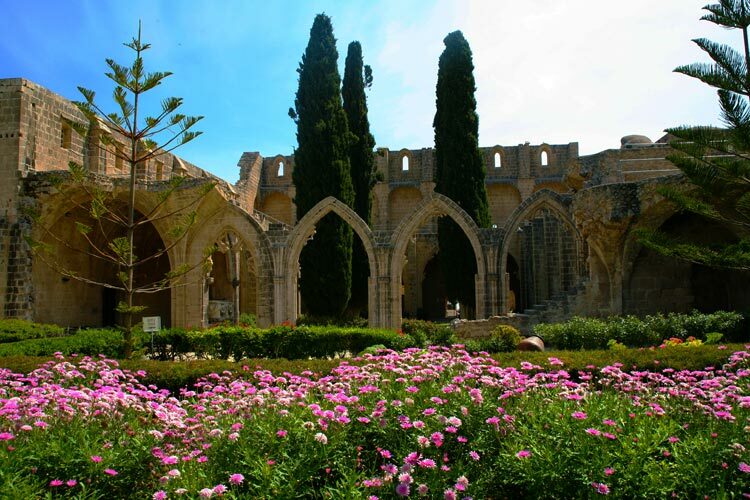 Bellapais Monastery, one of the iconic images of Northern Cyprus. 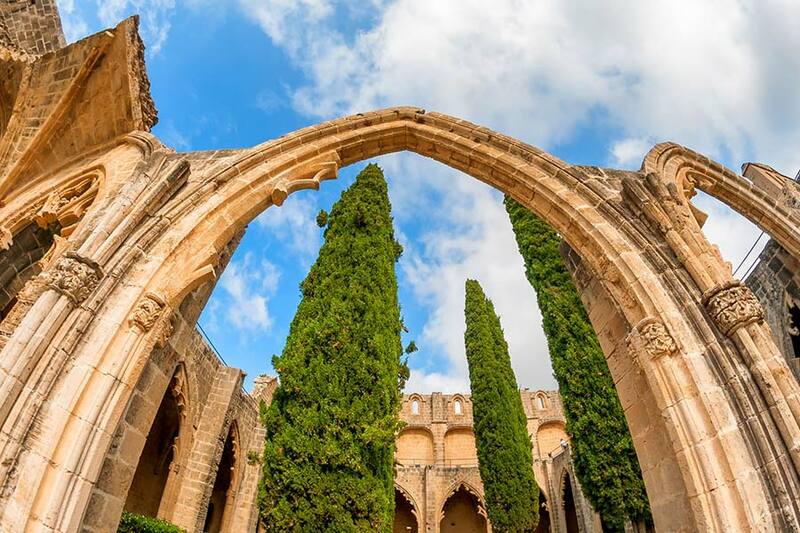 Elegant Gothic arches, impressively tall, shoulder to shoulder, silently invite entrance to the cloisters in Bellapais Abbey, also known as the Bellapais Monastery. 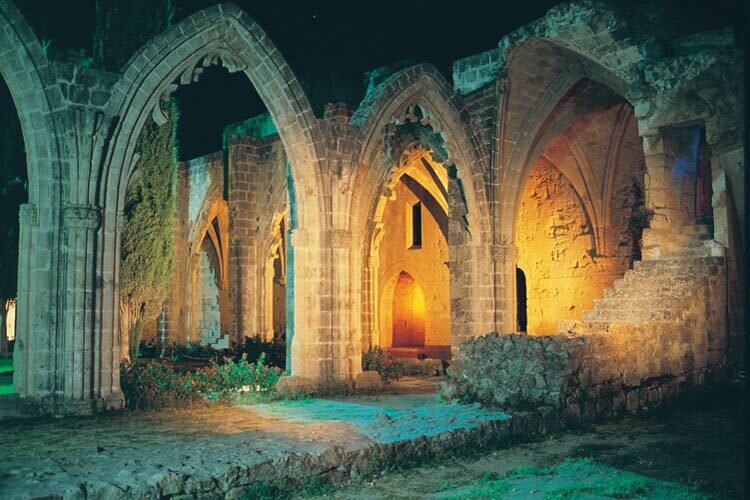 This is one of the iconic images of North Cyprus and a must visit place on your Northern Cyprus holidays. 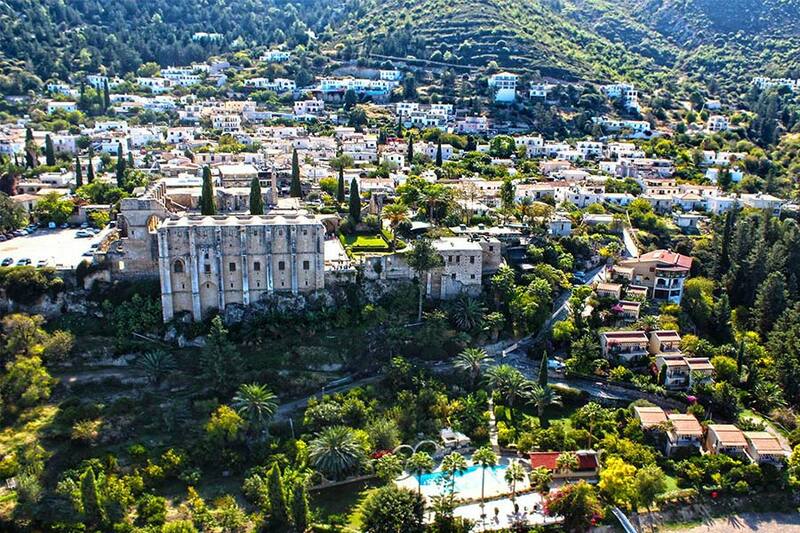 Bellapais village itself, 210m above sea level and is reached from the main road east of Kyrenia (Girne). Take the road signposted Ozanköy and Bellapais (also known as Beylerbeyi) and turn right at the main roundabout. There is paid parking in the village. 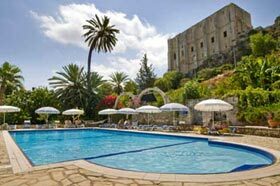 The village is very touristy thanks to the Abbey and to the popularisation through Laurence Durrell's book 'Bitter Lemons of Cyprus'. He lived in the village here in an old Turkish house between 1953-55. His account of life here is both funny and sad but classic holiday reading. Durrell's house, now aptly called Bitter Lemons, and much enlarged and modernised, lies on Aci Limon Sokak, Bitter Lemon street. 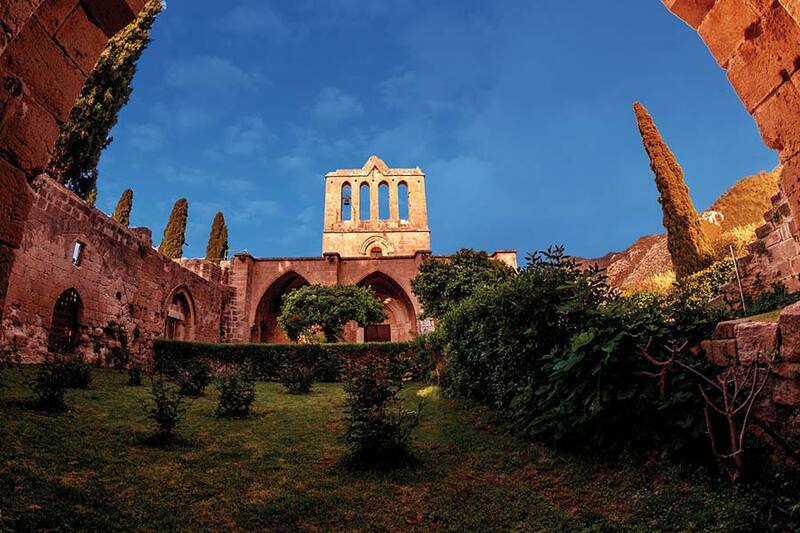 It is not uncommon for Monasteries and abbeys to be built in spectacular locations and this one is no exception. 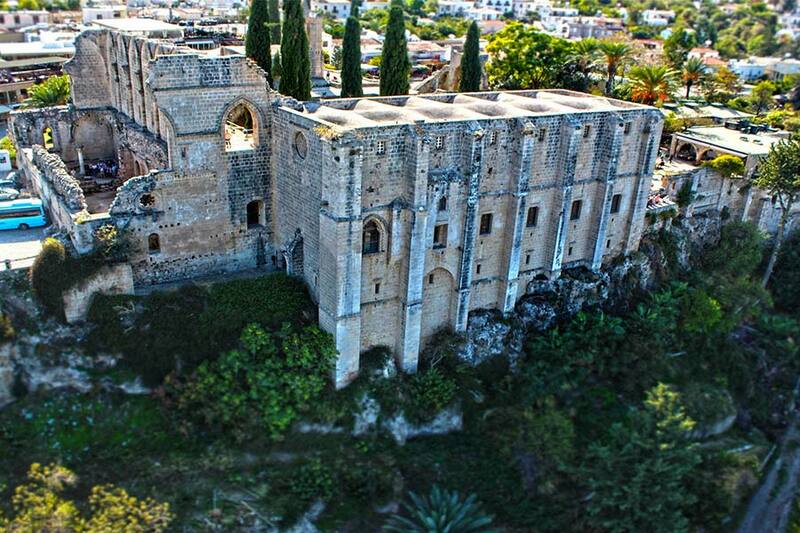 The imposing ruins sit on a rocky projectory overlooking the sea. 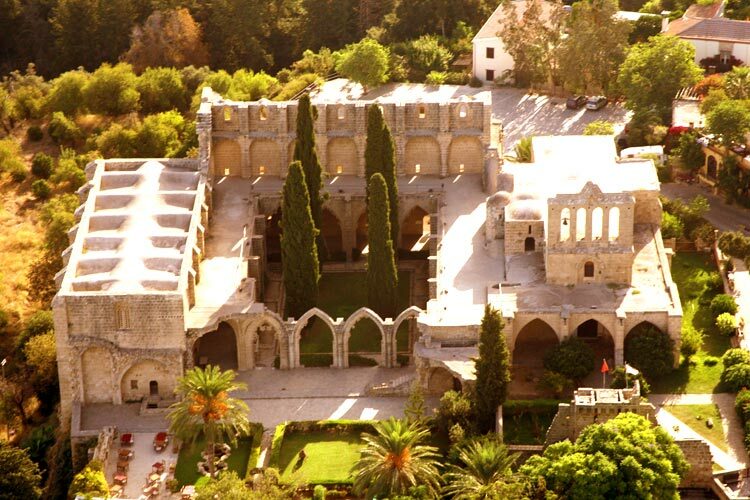 The abbey started life ca 1200 as the Abbeye de la Faye for the Augustine monks forced out of Jerusalem. 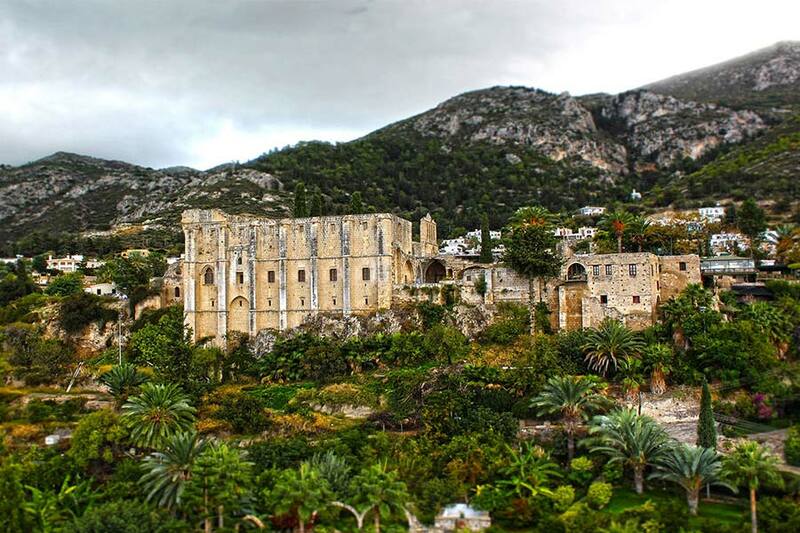 It grew in size and importance from the late 13th century until the Genoese invasion of 1373. Its power and influence faded but it finally came to grief in 1570 when it was sacked by the Turks although the church inside remained in use for worship until 1974. There is still much to explore, the church on the south side near where you now enter; the cloisters adjacent to the church; the Common Room and the Chapter House on the east side of the cloisters and the huge Refectory on the south side. Concerts and musical events take place in the abbey from May to October and these are mostly within the refectory. There is another celebration that sometimes takes place too, the celebration of marriage and it is hard to imagine a more beautiful and romantic setting. This romantic and memorable setting provides a magical venue for Weddings during the warmer months. There is no shortage of restaurants and bars in the village with many in the square overlooking the abbey. If you are looking to identify Durrell's tree of idleness in the square, you will have to consider the competing claims and make your own decision.